Speaking to World and Tourism Magazine, Mihai Prundianu, Chairman for Trade in European Council on Tourism and Trade said: while at the European Council on Tourism and Trade March 2018 Forum, we have observed growing interest and curiosity about Djibouti. “We are trying to increase the business for Djibouti as a perfect tourist destination and show what the country really is and the image of H.E. President Ismail Omar Guelleh as a development oriented leader with impressive achievements is instrumental in achieving these goals. President of Romania (1996–2000) Academician Emil Constantinescu attends the ceremony (photo left). The European Tourism Academyencompass world leaders who proven themselves as creators of outstanding initiatives related to world development, tourism growth, tourism diplomatic initiatives and in fostering sustainable tourism and developing programs that give back to local and global communities. Among other recent recipients of the Letter destined for World Leaders of Tourism and Development and academician title, an eminent place is held by H. E. Prime Minister of Kingdom of Cambodia Hun Senwho enacted policies that made Cambodia to be the first country in tourism development in 2016 and 2017 at world level. Academician Mircea Constantinescu, European Tourism Academy Directordeclared “Growth in this industry has proven to be a driver of shared prosperity because H.E. 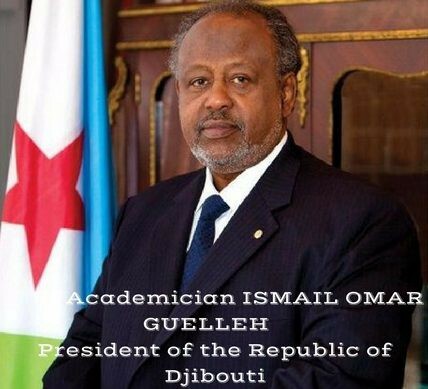 President Ismail Omar Guelleh has ensured that Djibouti-ans benefit directly. World Tourism Institution of European Council on Tourism and Trade is dedicated to the promotion of tourism and culture as main tools for cooperation amongst nations and countries. We belive that peace, tourism and development are keys for a better world. Join us!